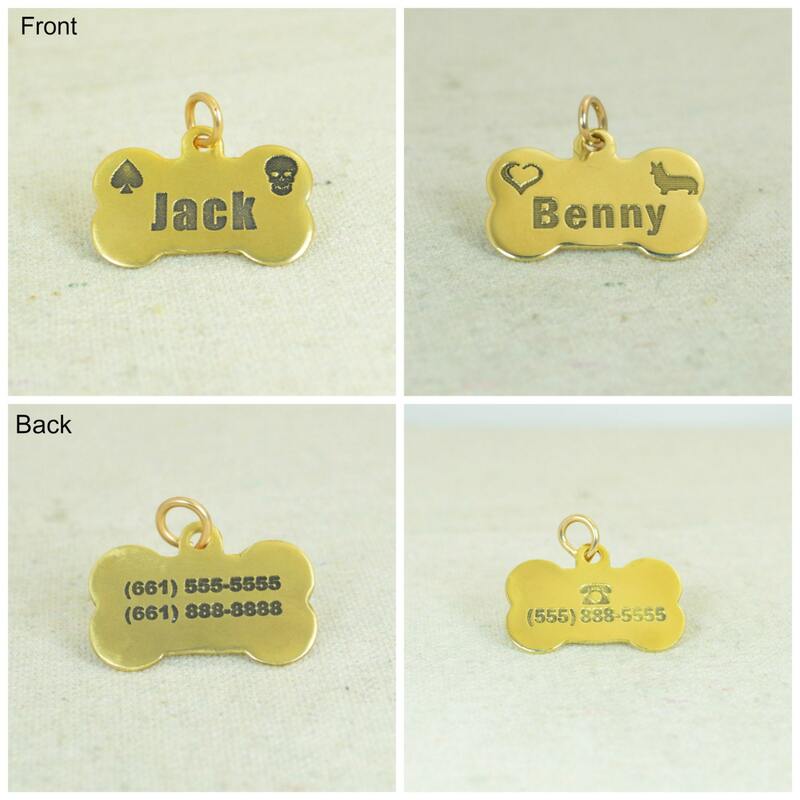 The classic dog tag, available in both brass and Sterling Silver. - Thick metal Tag (23g), 1 1/4" Wide and 1 " tall. - Perfect for all Medium to Large Breeds. - Deeply Engraved Lettering or designs - Designed to last a lifetime. - Heavy Duty Link is included for attachment to collar. Each tag is made completely fabricated here in my shop. 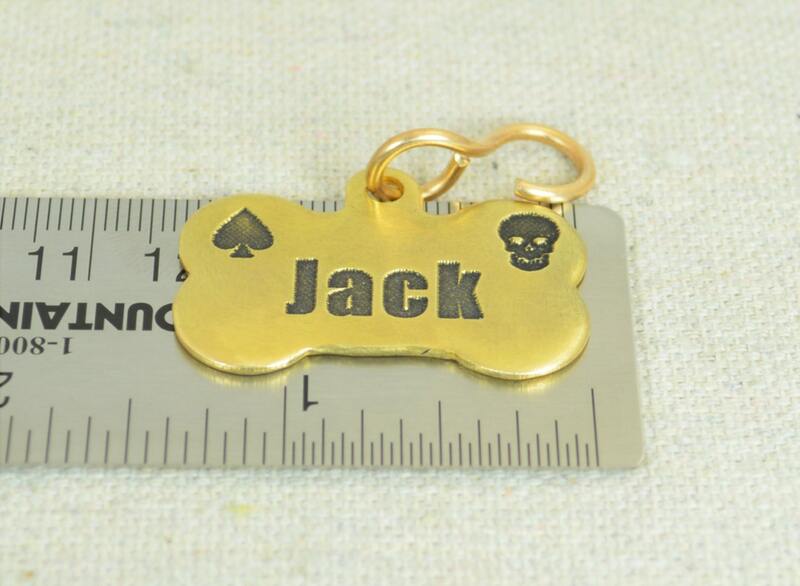 We cut out the metal, Deeply Engrave the lettering and or designs you choose. If it will fit on the tag I can engrave it. 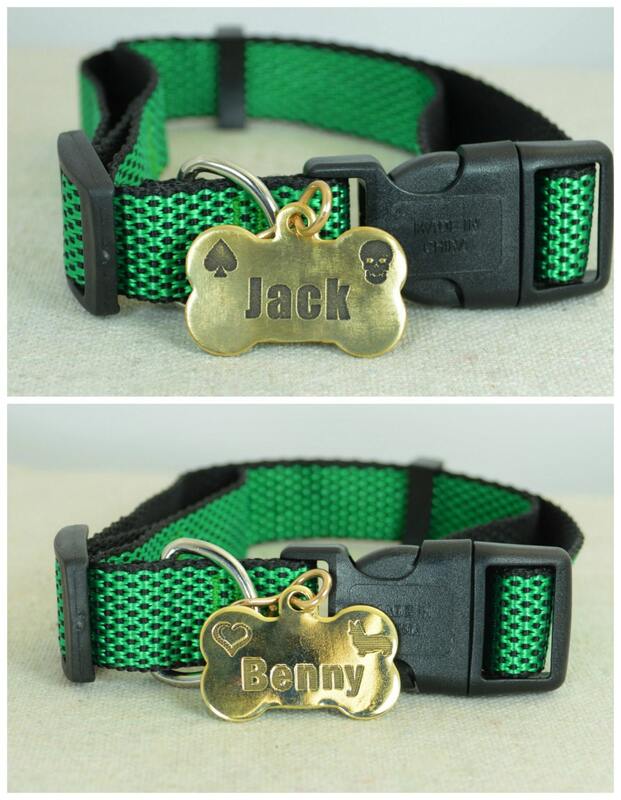 Your Pet's Name, Phone Number, Address, or any other ideas you may have for your tag, Dog Paws, Hearts, etc. 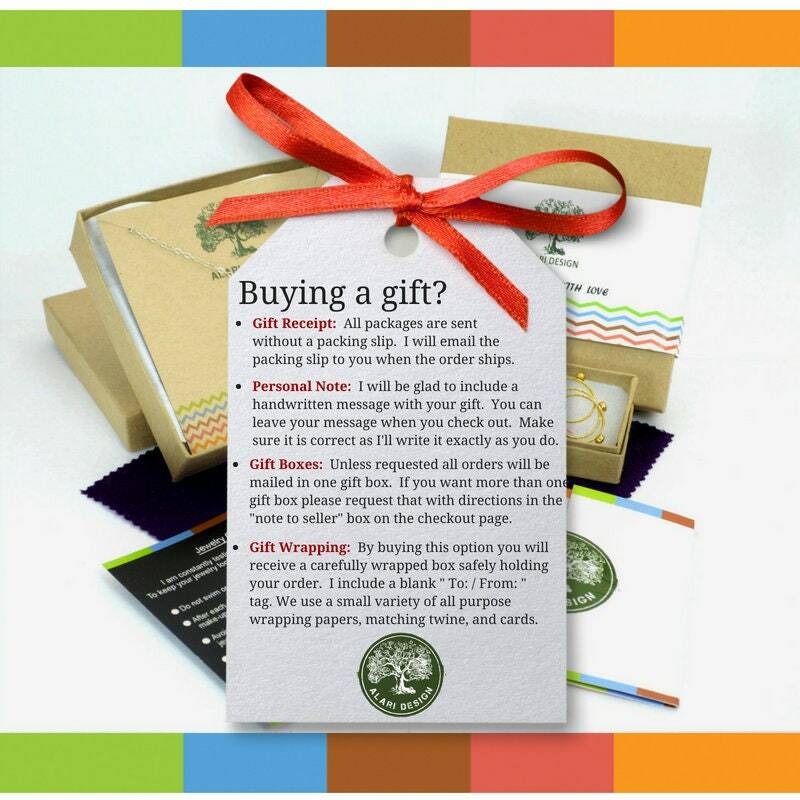 If your ideas are complicated I'll send you a proof before engraving your tag. - Then Check Out. I will contact you if I have any questions! All orders are made by hand in my Tehachapi, California studio. I offer a lifetime craftsmanship warranty on all of my jewelry. I resize all rings for life free of charge. 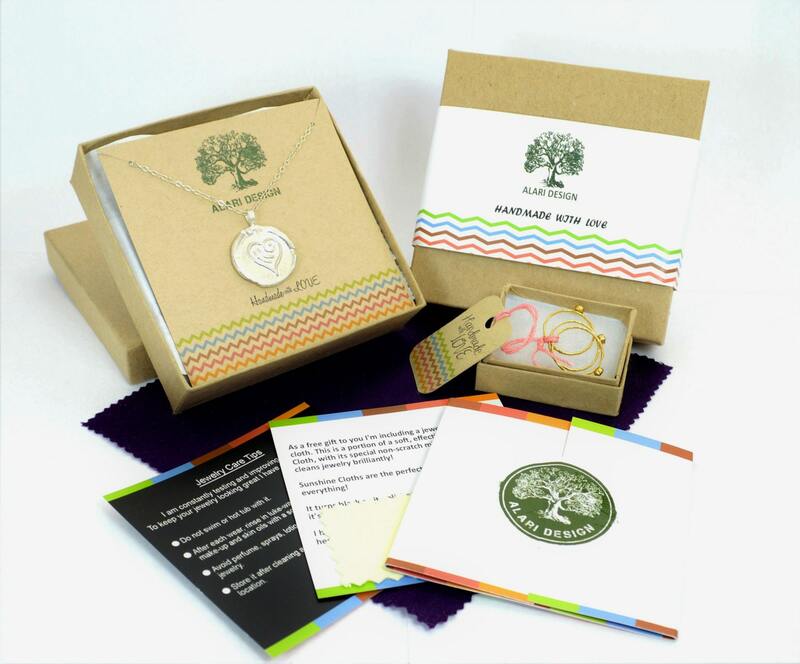 I want you to love your jewelry and accessories as much as I love making it! I got the medium dog tag and it looks great on my dog! They were able to squeeze in his long name and put three lines on the back for my phone number, street name, city / state. The tag came in a cute box and had lovely presentation! The only downers were that his name wasn’t perfectly centered on the bone. I also had to completely twist the metal link the bone came on so that it would hang straight once I put it on his collar. Overall I love it though! So very cool....made mine simple and to the point and it looks great.